One thing that easily gives the BeatsX top marks is its grab and go design. The flex form cable coupled with the magnetic earbuds make these headphones completely hassle-free. This comes in handy particularly well in an office environment, where I was able to keep the headphones in while working on a project and found that removing them to take a call or talk to a coworker was an absolute breeze. If there was anything that gave me pause about deviating away from an over-the-ear headphone option, it was worrying that there would be a big drop in sound quality. I’m happy to report that this was not the case, and even so I was pleasantly surprised at how excellent the sound quality is. One could even go as far as to say that the sound mimics identical to that of a solo3 wireless, the only deviation being that the because the size of this headphone is literally quite smaller, the sound plays out on a smaller scale. Taking a call via RemoteTalk also highlighted the clearness of the sound, with the caller not realizing that the call was being taken on a pair of earphones outdoors until told. As far as battery life goes, BeatsX fulfills its promise to last up to 8 hours. Ever a servant to providing quality research, the first time I utilized the FastFuel feature, I timed the charged for exactly 5 minutes, and this lasted the promised time of 2 hours and then some. And while 8 hours is on the better side of battery life for earphones, I still wish that there was some catch up to the rest of the headphone industry, of which the average time for wireless over the ear headphones is closer to 40 hours. Hopefully, as products evolve earbuds battery life will improve, especially for people who want to wear headphones throughout their entire workday, but don’t want that tight ‘mashed-in’ and hot feel of over the head headphones all day. 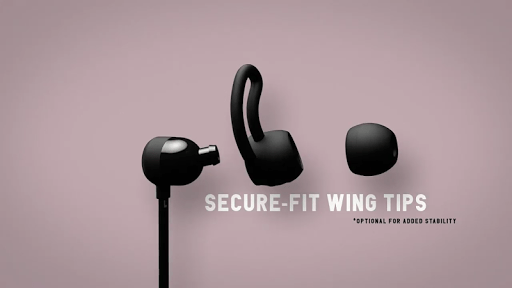 BeatsX comes with four different sizes of secure fit wingtips. It did take for me some playing around with the size features, but eventually, I found a fit that I felt was just right. On the maiden voyage using BeatsX I went for a walk, I found the left earbud wanted to come loose, while the right size stayed firmly in place. I used the wing tip on the left side, and voila, I was back in business, but it still gives me pause on using the headphones for all-out activities, such as long-distance running and intense cardio. If you were, say, to run a marathon, a fit like that of the Powerbeats3 wireless instead of the BeatsX would be more preferable. More than half of what the solo3 are going for these days, the BeatsX is an excellent bargain if you’re looking to add some variety to your headphone collection, or prefer an earbud-style headphone. 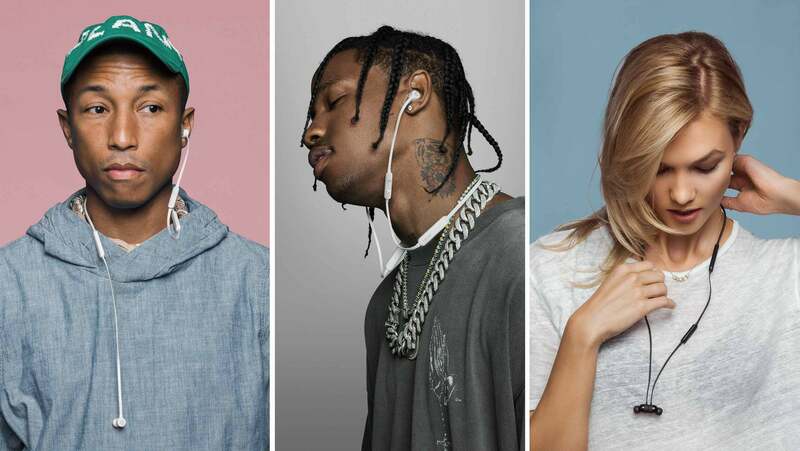 Compared to other ear headphones on the market, however, the BeatsX does fall on the pricier side, with the average tending to be at about $100. You do get what you pay for though, and one could argue the sound quality here is much more developed than your average pair of earbuds. Magnetic cord - no tangles! It’s no coincidence that Julie shares her name with a famous eighties MTV VJ, as she has shared a similar obsessive love of music and music culture all her life. Often called Downtown for short, Julie prides herself on being able to reference obscure songs from popular artists, and never backs down from a rap battle (unless it’s Eminem). Her favorite concerts include Jay Z & Kanye West’s Watch The Throne tour, and a Bruce Springsteen summer stadium concert in Sweden. Also a lover of world travel, Julie believes in traveling to the same place more than once, and always hanging with the locals.